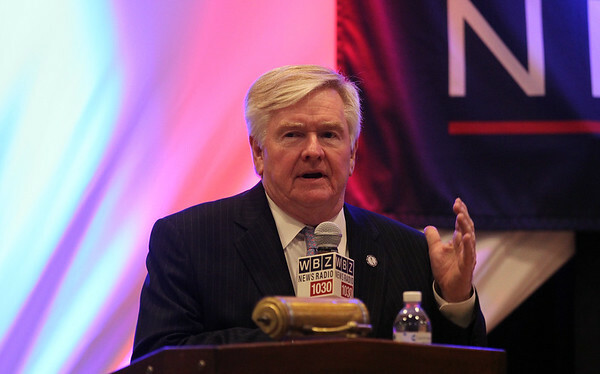 WBZ Radio Host Dan Rea held his Talk the Vote debate in the Wax Auditorium at Endicott College on Wednesday evening and featured congressional candidates Richard Tisei and Seth Moulton. DAVID LE/Staff photo. 10/29/14.